In the coming "Mothers and Sons," Tyne Daly will reprise the role on Broadway that she played this summer in Bucks County, Pa. 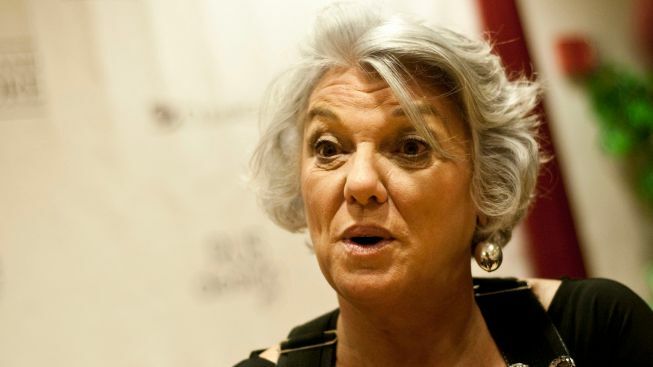 Stage and TV actress Tyne Daly will star on Broadway this spring in a new drama by Tony-winning playwright Terrence McNally. “Mothers and Sons,” which had its world premiere in June at the Bucks County Playhouse in New Hope, Pa., will again be directed by Sheryl Kaller, who was Tony nominated for 2010’s “Next Fall.” Daly also headlined that production. Additional casting, preview dates and a venue will be announced at a later date. Daly will play a mother whose son died of an AIDS-related disease two decades before the events of the play begin. She travels from Texas to Manhattan to see her son’s former lover, who is married to another man and has a young son.